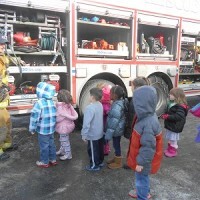 Our Safety & Health Coordinator Ms. Marsha was searching for ways to relate safety to our kids! 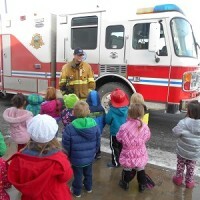 With firemen being a frequent community hero in Dramatic Play she knew this would be a hit! 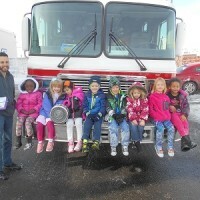 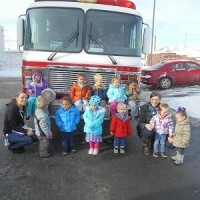 We practice fire drills every month and this was a great way to help our kids make the connection as to why Fire Safety is so important!